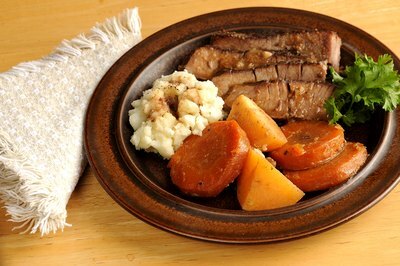 Cross rib roast is also known as boneless shoulder pot roast. The cross rib is located above the brisket and is a leaner cut of meat that contains a lot of flavor. A shoulder roast has tough and stringy fibers and it needs to be cooked slowly with liquid to make the meat tender. 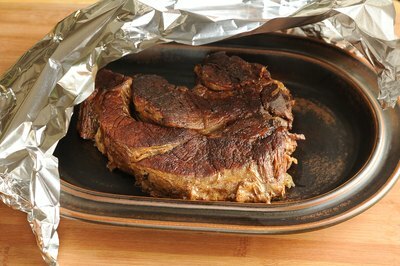 Cook the cross rib roast in the oven with low heat to tenderize the meat and infuse it with your desired seasonings. Move the oven rack to the middle of the oven. Heat the oven to 300 degrees Fahrenheit. 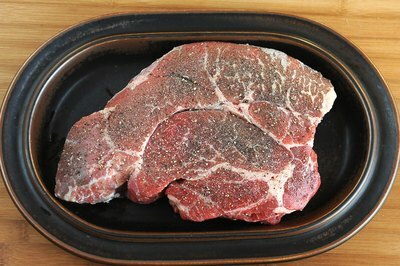 Season the cross rib roast with your preferred seasonings such as salt and pepper. Place 2 tbsp. of oil in a stock pot. 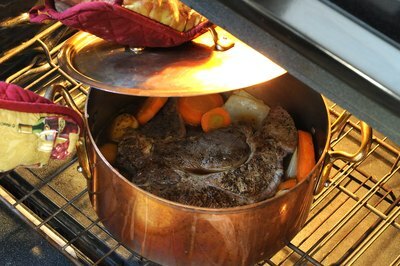 Place the pot on the stove top over high heat and brown the sides of the roast for 10 minutes. Remove the roast from the pot to a plate. Reduce the heat on the stove top to medium. 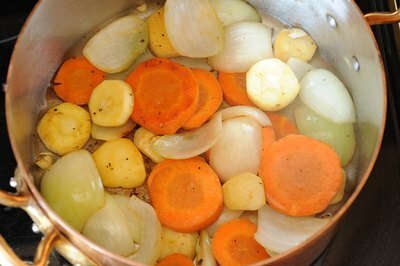 Add chopped vegetables, such as onions, garlic, celery and carrots, to the stock pot. Brown the vegetables for 5 minutes and then add 1/4 cup of liquid like beef broth or water. Scrape the bottom of the pan to loosen the brown pieces. Place the roast back into the stock pot. Cover the roast halfway with additional liquid. 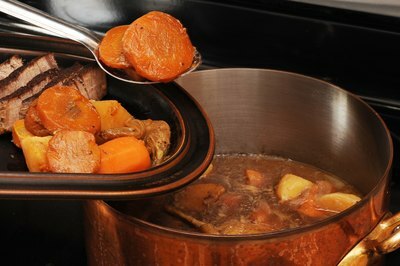 Place a lid on the stock pot and bring the ingredients to a simmer over medium heat. 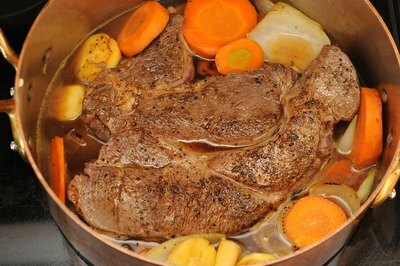 Place the stock pot in the oven and turn the roast every half hour. Cook the roast for 4 hours or until it is tender. Remove the stock pot from the oven. Remove the roast from the pot carefully so that you do not pierce it. Place a sheet of aluminum foil over the roast for 20 minutes before you carve it. 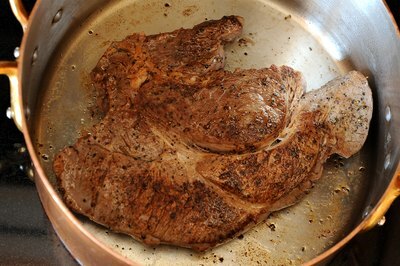 Slice the roast into 1/2-inch slices, and then skim the fat off the surface of the liquid. Remove the vegetables with a slotted spoon. Pour the liquid over the meat and serve immediately. Cook the roast to a safe internal temperature of 165 degrees Fahrenheit to prevent the risk of a food borne illness.